There is one issue each year that is dear to the hearts of all of us at DIR. It’s the issue in which we unveil our Rudy Awards. And it isn’t just because we are all passionate about innovative imaging products, though we are. It’s simply because we get the opportunity to reflect back on our beginnings—and our founders. 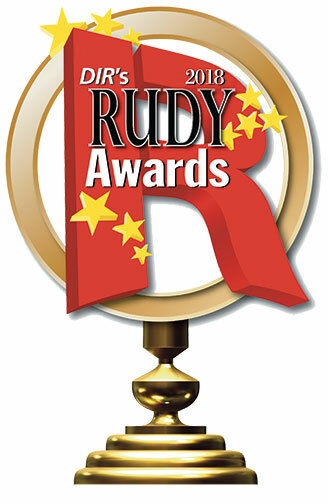 The Rudy Awards were named for the late Rudolf Maschke, who cofounded the company along with his friend Ed Wagner. Rudy, as friends and colleagues knew him, was an amazing human who survived the horrors of Nazi Germany, came to America alone, still a child, with barely a nickel and truly achieved the American dream. Rudy had a discerning eye for emerging trends and products that could push the boundaries of imaging. 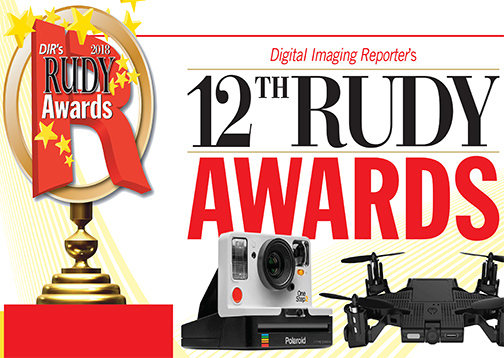 So it is in the spirit of our cofounder that we bestow the 12th Rudy Awards to the standout devices we believe enhance the joy and creativity of imaging. Ironically, this year those products are not all the highest-tech devices on the market. Instead they include analog products that are again expanding the imaging category. Everything old is new again! 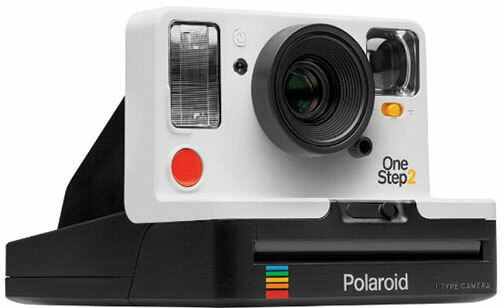 Polaroid Originals, a new brand from Polaroid, launched with a commitment to analog photography and its OneStep 2 camera. Inspired by Polaroid’s 1977 OneStep, the new instant film camera is designed to be as simple to use as the original, however, it incorporates modern features. They include a more precise, aspheric lens; a powerful flash; a built-in USB-rechargeable battery with a 60-day life; and also a self-timer function. On the other side of the imaging spectrum is the YI Horizon VR180 camera. 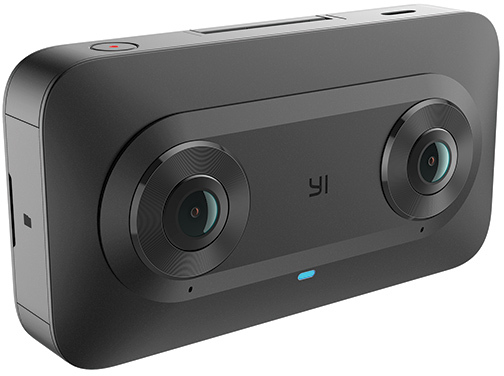 YI Technology, in collaboration with Google’s Virtual Reality team, introduced the camera at CES. Developed to leverage Google’s VR180 format, the stereoscopic 3D camera is designed to provide an easy way to capture high-res, immersive video. It seamlessly integrates with YouTube as well as Google Photos, so viewers can activate a VR experience when viewed with Google Cardboard, Daydream, PSVR and other VR viewers. With a sleek, dual-lens design, the camera captures 3D video in 5.7K resolution at 30 fps. It also features instant in-device stitching and supports live streaming, so creators and fans can be together in real time. Well here’s something different we just couldn’t overlook. AEE Technology partnered with Selfly Camera to develop the AEE Selfly. 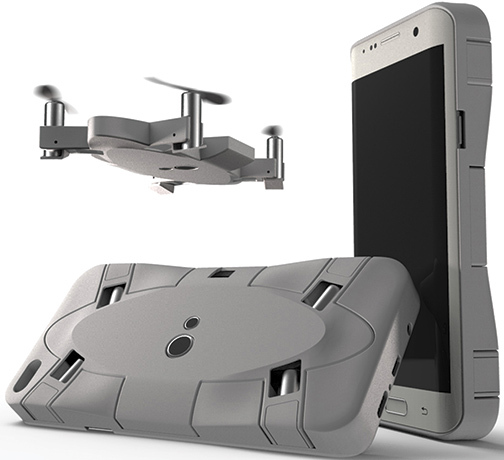 Billed the first-ever flying phone camera case, it’s a smartphone case with an embedded drone. The “drone” is targeted at smartphone users, giving them the ability to capture selfies and video from high above, in tight spaces or from a distance. The drone takes flight with a touch of a button, providing options and angles beyond the arm’s length of a selfie stick. Incorporating stabilization technology, the Selfly snaps onto most standard-size, 4- to 6-inch smartphones. Its integrated, foldable wings enable the device to fly at the user’s command. As it hovers, the drone waits for commands from an intuitive, free smartphone app. Fujifilm’s Instax Share SP-3 SQ prints photos taken with a smartphone on Instax Square film. The printer was developed to give users more ways to get creative with their instant pictures: share them in-person and online with #myinstax. 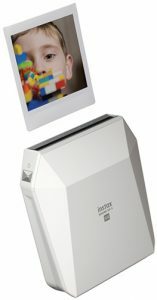 It also prints from Fujifilm X-series cameras. Its 1:1 aspect ratio, square format is widely popular among phoneographers as well as Instagram aficionados. And the SP-3 produces images with pixels of 800×800 dots and 318 dpi to show detailed gradations. With a new laser exposure system, it produces photos in just 13 seconds, using a battery that’s good for 160 prints. The “traditional” AF-S Nikkor 180–400mm f/4E TC1.4 FL ED VR super-telephoto lens is anything but conventional. The professional, FX-format lens boasts Nikon’s first-ever built-in teleconverter, along with an advanced optical formula designed for speed and clarity while minimizing weight. Adept at photographing sports and wildlife, this lens is built for shooting versatility, with an extended range of 180–400mm and a constant f/4 aperture. Its integrated 1.4x teleconverter permits photographers to seamlessly swap to a 252–560mm (FX) focal range. The teleconverter is engaged with a switch and operated with a single finger while looking through the viewfinder. A vibration reduction (VR) mechanism offers normal and sports modes, with four stops of compensation. Plus the moisture-sealed lens employs a fluorite element, improving balance while minimizing weight, and eight extra-low dispersion (ED) elements. Nano Crystal Coat suppresses ghosting/flare, while fluorine coating helps repel water and dirt. 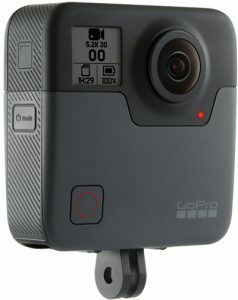 Marking the beginning of a new era for GoPro, the waterproof (16 feet) Fusion captures immersive 5.2K spherical content. Utilizing the GoPro app, users can play back and share footage as VR content. Or they can use its OverCapture feature to recapture 360º footage and share a spherical shot as a traditional fixed-perspective video. OverCapture will be part of a GoPro app update in early 2018. Key Fusion features include: 5.2K/30 and 3K/60 spherical video recording; 18MP spherical photo capture; an advanced gimbal-like stabilization system; 360 audio; voice control (10 languages); time-lapse video + photo, night lapse and burst modes; Wi-Fi/Bluetooth connectivity; and GPS, an accelerometer, a gyroscope plus a compass. 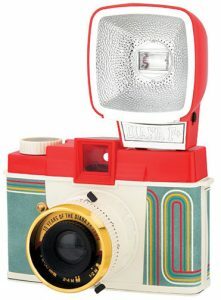 The vintage-styled Lomography Diana F+ medium-format 10-year anniversary camera really caught our attention. Inspired by classic 1960’s diners, the 10 Years of Diana edition comes in a matte red and pastel blue, with a retro gold lens. Although the company is offering just 1,500 units, we couldn’t help ourselves and gave the collector’s camera a Rudy! Lomography’s Diana F+ gained popularity due to its dreamy, color-drenched images and experimental features. Its best seller, the camera has shape-shifted 50 times, offering the analog community various reincarnations. The anniversary edition maintains the spirit of the classic Diana favored by New York artists during the 1980s. But the Diana F+ anniversary version, which uses 120 film, adds multiple exposures, pinhole and panorama modes, and an intuitive zone-focusing system. It hunts down an owner’s photo/video collections from online services like Facebook, Google and Flickr, local storage on NAS drives and memory cards. It then automatically indexes them for search. Its artificial intelligence was developed with scientists from the University of Oxford. In addition, it’s been tested on the large, specialist collections of British museums, galleries and libraries. The basic Pholio manages collections of 140,000 images. Its software automatically checks all images in the “album” against 20,000 built-in search terms, like “birthday.” Users can also train it to recognize unique terms. The LitraTorch “professional adventure lighting” is a versatile photo and video light aimed at photographers as well as videographers. 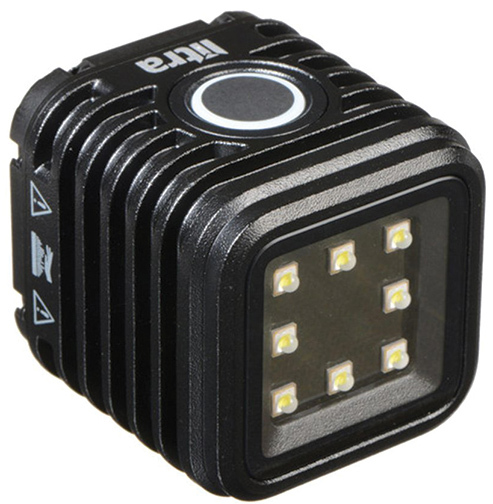 Durable and waterproof, at just 1.5×1.5 inches in size, the LED light provides high-quality light with 2,200 (strobe), 800, 450 and 100 Lumen settings. Its ultrawide beam angle matches a camera’s wide-angle formats. With one-touch operation, it features a 5700K, flicker-free, smooth light pattern. At first this one caused some head-scratching, but with the name Yashica, it won us over. The Japanese company that gave us the Electro rangefinder 35, pioneering the electronically controlled leaf shutter, is reviving the venerable Yashica brand with something entirely different. The Yashica Y35 was created to give users the visceral, sensory experience of shooting film without requiring film! The compact camera, reminiscent of a vintage rangefinder 35mm, features an optical viewfinder and what looks like a top-mounted film wind lever, but no LCD. In reality, it’s a digital P&S with a 1/2.5-inch, 14MP CMOS sensor that stores images on an SD card. However, before you can take a picture, you must insert a “film cartridge” that doesn’t actually contain film but “pre-winds” to set the camera for the type of images that digiFilm cartridge turns out. JOBY’s GripTight Pro TelePod is a handy telescoping tripod. It’s marketed to vloggers and videographers working with action cams, 360° cams, smartphones and other small imaging devices to create social media content. It supports real-time video creation for platforms like YouTube, Instagram, Facebook, Snapchat and also Periscope. 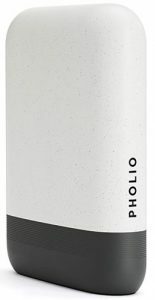 Moreover, the device combines tripod functionality with an extending pole to capture unique perspectives. Features include adjustable tilt for selfies as well as landscape or portrait shooting modes for horizontal formats like YouTube and vertical for Periscope. Weighing 12.7 ounces, the tripod/vlogging stick works in four modes. When a firm grip is needed, users close its legs to hold steady. If they are looking to grab an overhead or 360° shot, they use the extended grip by closing the legs and extending the mount. Or the mount and legs can also be extended to create an elevated camera/360° tripod for an over-view. In addition, to get in close, the TelePod works as a tabletop tripod by expanding its legs and retracting the mount. The Roader Time Machine documents activities even after they transpire. The small, white square camera is worn on a lanyard. If you touch it, it captures not only what’s going on but also eerily what already happened. It stores the previous 10 seconds and also the next 10 seconds. In order to do that, it has to continuously capture data so that it can go back 10 seconds in time. Cool, right?